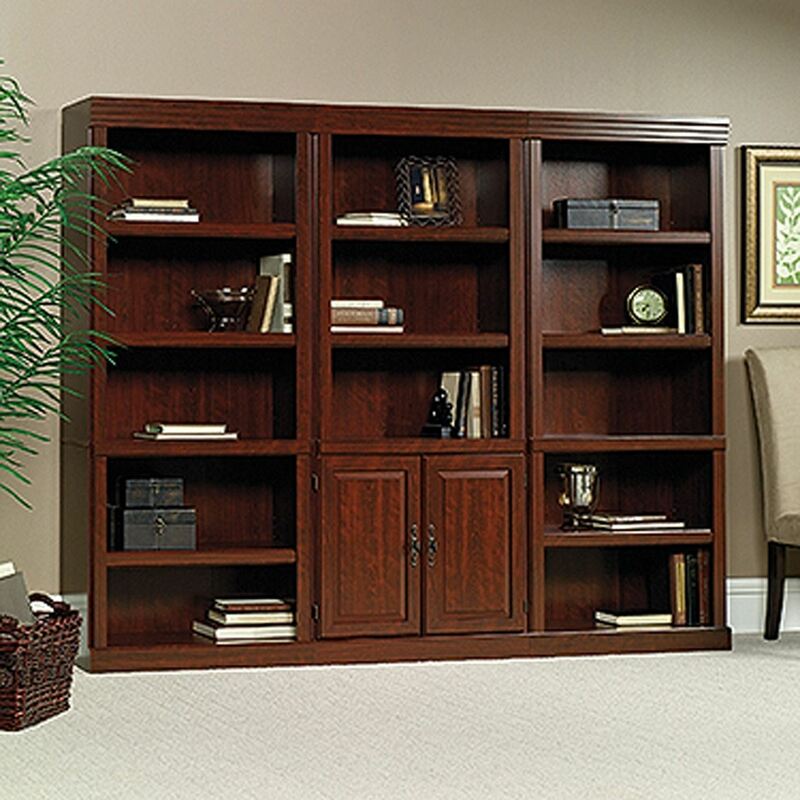 Heritage Hill Library With Doors Classic Cherry By Sauder. 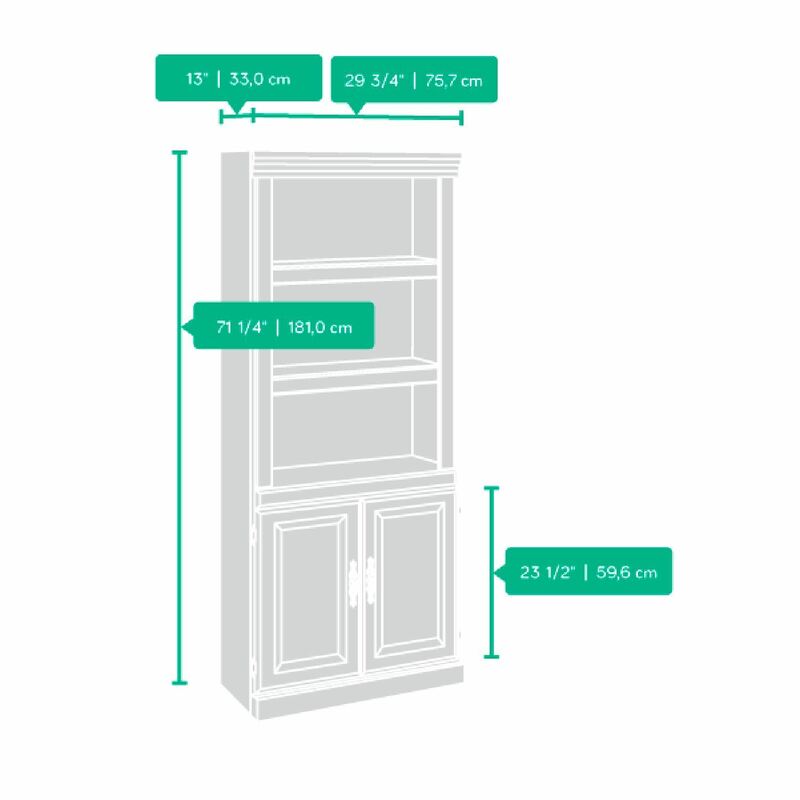 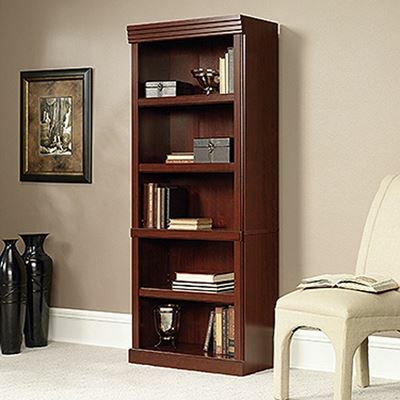 This bookcase has three adjustable shelves, an enclosed back with cord access, and raised panel doors. 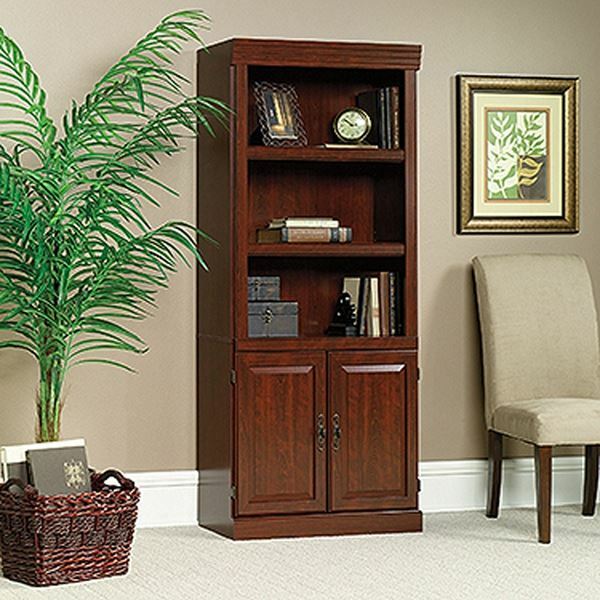 This bookcase comes in Classic Cherry finish.